Larger animals being caught in rat trap - a growing problem since the invention of the "new and improved" rat and mouse snap traps with serrated jaws. Unlike the the old fashioned smooth-edged snap traps that larger animals could slip out of, these newer traps have a stronger grip and "teeth" that make it impossible for animals to escape. This young skunk ventured into a yard that had snap traps set outdoors by a barbecue grill that rats had been attracted to. Drawn by the smell of the grill or the rodents or the peanut butter bait, this poor skunk got both its front paws caught - just a horrible accident and so avoidable. Snap traps are not intended for use outdoors without being inside a protective case to prevent other animals from caught and injured. Unfortunately, as was the case in this situation, there was nothing on the packaging or in the instructions warning the consumer of the potential risk to other animals and the precautions necessary to avoid something like this from happening. 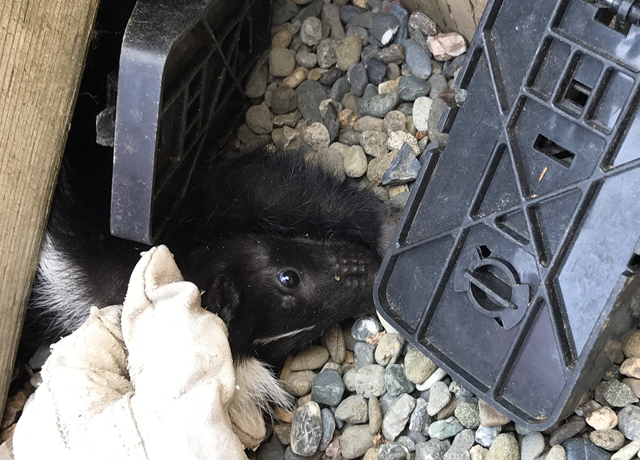 WES is petitioning the manufacturers of these types of traps for better labeling so accidents like this one - which could cost this skunk its life, don't happen. 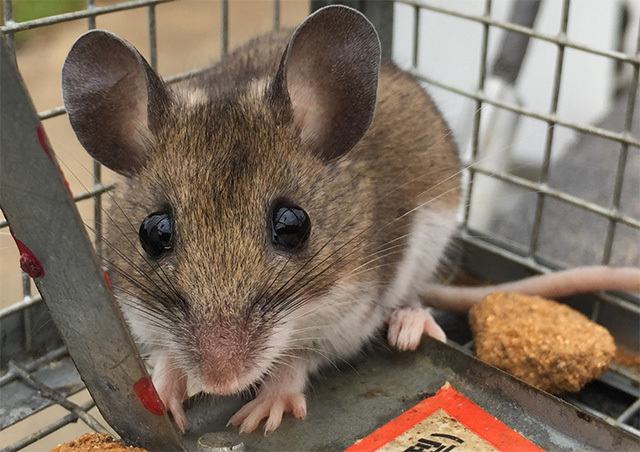 Another adorable deer mouse evicted from a home in Prunedale, CA after we shored up all of the entry points. © Copyright Humane Wildlife Control, Inc. 2018. Awesome Inc. theme. Powered by Blogger.